Since the advent of video games in the 1960s, they have become the common experience of everyone from Gen-X to the Millennial and post-Millennial generations. While many of today's clergy, parishioners, and theologians grew up gaming, the church's stance regarding video games is one of, at best, bemusement. This book takes seriously the idea that video games can challenge us to think more deeply about our reality, divinity, faith, and each other. It draws readers into a small, but growing, conversation about models of incarnation and what it means to distinguish between the virtual and the real. This book will introduce readers to concepts and questions from the perspective of a Christian systematic theologian who has been playing games since he was four years old, and who has been writing, speaking, and podcasting about this topic since 2010. It is an invitation into a relatively new conversation about divinity, humanity, and technology. 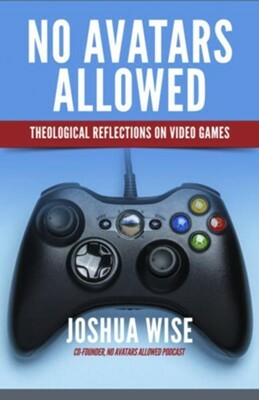  Reaches across generations to explore divinity, humanity, and technology through the lens of video games  Challenges readers to look theologically at how they play Since the advent of video games in the 1960s, they have become the common experience of everyone from Gen-X to the Millennial and post-Millennial generations. While many of todays clergy, parishioners, and theologians grew up gaming, the churchs stance regarding video games is one of, at best, bemusement. This book takes seriously the idea that video games can challenge us to think more deeply about our reality, divinity, faith, and each other. It draws readers into a small, but growing, conversation about models of incarnation and what it means to distinguish between the virtual and the real. This book will introduce readers to concepts and questions from the perspective of a Christian systematic theologian who has been playing games since he was four years old, and who has been writing, speaking, and podcasting about this topic since 2010. It is an invitation into a relatively new conversation about divinity, humanity, and technology. JOSHUA WISE is an adjunct professor of Systematic Theology at Villanova University, Saint Josephs University, and Rosemont College. He earned his doctorate in systematic theology from The Catholic University of America. The author of Deephome and editor of Past the Skys Rim: The Elder Scrolls and Theology, he co-hosts the podcast No Avatars Allowed. Dr. Wise lives in Drexel Hill, Pennsylvania, where he is the Theologian in Residence for Incarnation Holy Sacrament Church. I'm the author/artist and I want to review No Avatars Allowed: Theological Reflections on Video Games.